March, 2019 - The short horror film I shot back in December, Jane's Hotel, is finished and now on youtube! 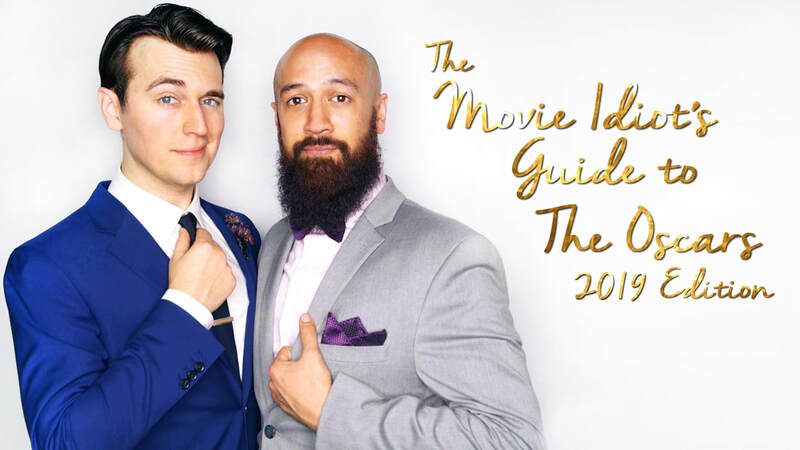 February, 2019 - Celebrated the Five Year Anniversary of the Movie Idiot's Guide to the Oscars with parodies of The Favourite, A Star is Born, Can You Ever Forgive Me and more! Two sold out houses of wonderful audiences!! January, 2019 - Starting off 2019 with a new film, the comedy/sci-fi short The Truth Box, playing a hapless office drone tasked with testing out an embarrassingly direct lie detector! December, 2018 - Another photo shoot with the awesome folks at Shoott photography, this time with Mary Dorn. Love how they turned out! December, 2018 - Shooting new psychological horror short Jane's Hotel. November, 2018 - Performing in The Way We Get By at Alliance Repertory Theatre from November 2nd-17th. 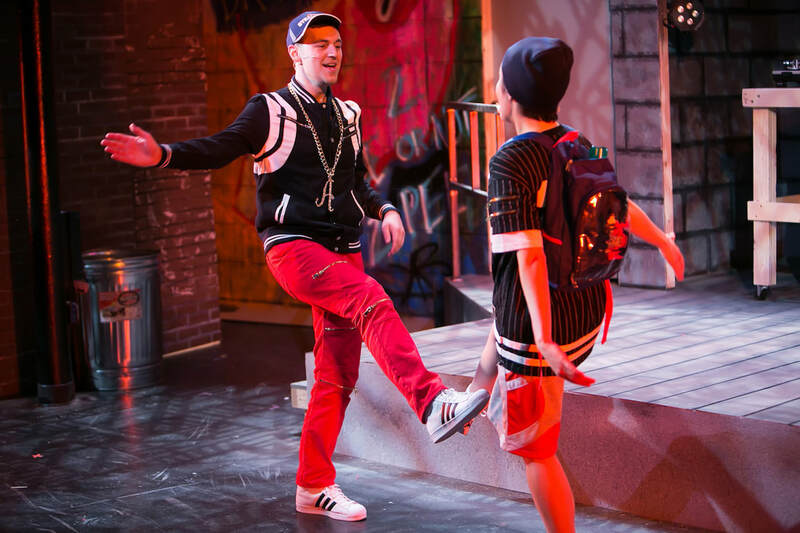 NJ Arts Maven said, "The clever, snappily delivered dialogue and the sexually charged, believable chemistry between Ronan and Marques makes The Way We Get By a not-to-be-missed production." August, 2018 - Shot a new commercial for the Investigation Discovery channel's new streaming app ID Go with the star of their show Homicide Hunter, retired lieutenant Joe Kenda. Great time on set with an amazing crew! July, 2018 - My commercial for Barnes & Noble celebrating the 20th Anniversary of Harry Potter is here! Had a wonderful and hilarious time getting to shoot this! Fantastic crew helped make the shoot a dream. June, 2018 - Had some fun new shots done by SHOOTT and LOVE how they came out! They were amazing to shoot with and I can't recommend them highly enough. May, 2018 - Shot an episode of Mysteries at the Museum as Edward Wilson, the inventor of the Cheese Doodle. Had a great time on set and just might pop up in another episode or two! Air date TBA. March, 2018 - Got to shoot a commercial in one of my favorite places today, the Barnes and Noble in Union Square! Celebrating the 20th anniversary of Harry Potter, I play an office worker who spots a copy of Sorcerer's Stone and gets transported back to my ten-year-old self. It's a sweet little spot, and I had a blast working with the crew! March, 2018 - On set filming new short film Sweetie as a boss from hell! 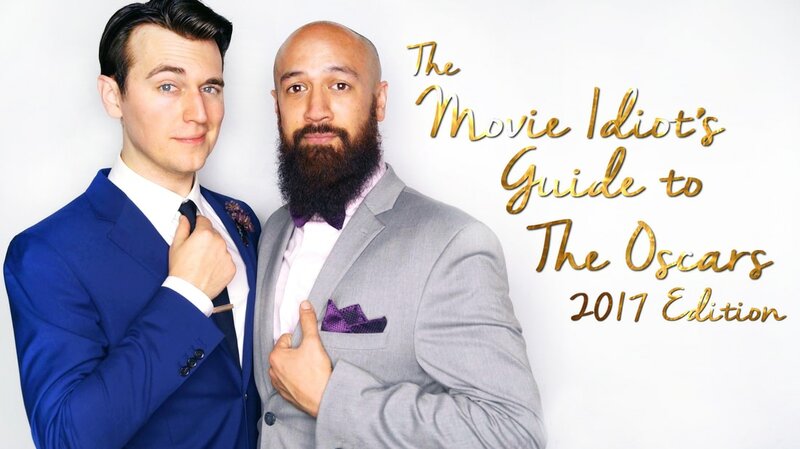 Feb, 2018 - Another year, another Movie Idiot's Guide to the Oscars! Back at the PIT Loft again, Matt Bovee and I had a great time riffing on The Shape of Water (as the Disney-esque Mutey and the Beast), Darkest Hour (with a special cameo by a rapping Winston Churchill), and the 57 other nominated films. Always a highlight of the year! Feb, 2018 - Shot a reenactment role for new documentary Who Killed the Alderman, about a cold case civil-rights era murder of a black politician. Jan, 2018 - Wrapped filming for Discovery ID's show On the Case with Paula Zahn, a crime reenactment series. Playing, to the surprise of nobody, a murderer. Great time working with the cast and crew on this one! Episode should air sometime in March! Nov, 2017 - Picked up another nomination for Best Actor for Lost in Buffalo City at the Wreak Havoc Horror Film Fest! Really hope I get another chance to work with the team behind the film! Oct, 2017 - Just found out I've been nominated for a Syracuse Area Live Theatre Award for Best Leading Actor in a Play for The Bomb-itty of Errors! We've racked up nominations for best play, director, the whole cast, and several technical achievements. Had such a great time working at Redhouse, glad to see we got so much love from the SALT Awards! Oct, 2017 - On set filming a video tutorial for the new app Shindig! Sept, 2017 - Lost in Buffalo City is continuing to make waves on the festival circuit, picking up several awards for best film, director, cinematography, and Best Actor for yours truly from the Independent Horror Movie Awards. So proud of the whole team! Sept, 2017 - Finishing up a run of the classic farce Noises Off at Lake Dillon Theatre Company in a production that "gets it perfect...truly a side splitter." Had a blast checking off Garry from my bucket list of roles! July, 2017 - Had a wonderful week at the Barn Arts Collective in Maine workshopping Matthew Jellison's beautiful new play "the giants: part 3", the third in a series of plays that deal with giants, both figuratively and literally. One of the most beautifully inventive shows I've ever had the privilege to work on! July, 2017 - Lost in Buffalo City is hitting the festival circuit! We won the North Carolina Film Award for 'Best Director' and are official selections with Asheville Film Festival, Horror in the Hills, Footcandle Film Festival, and Jerome Indie Film & Music Festival! 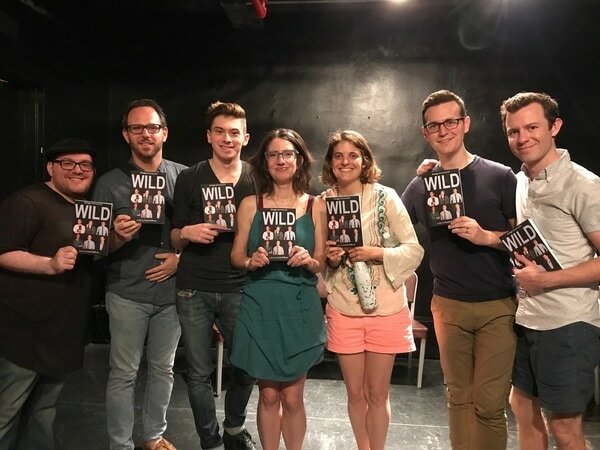 June, 2017 - Had an amazing time reuniting with the cast of Crystal Skillman's play WILD for a reading/signing at Drama Book Shop to celebrate it's recent publishing! Working on the NY premiere three years ago was an incredibly rewarding experience and to get to say the words again for an audience was an absolute gift! June, 2017 - Currently filming as Mark Antony in a new adaptation of Julius Caesar. Set in a modern-day college fraternity, the film explores toxic masculinity and the idea of 'brotherhood' in excitingly inventive ways! 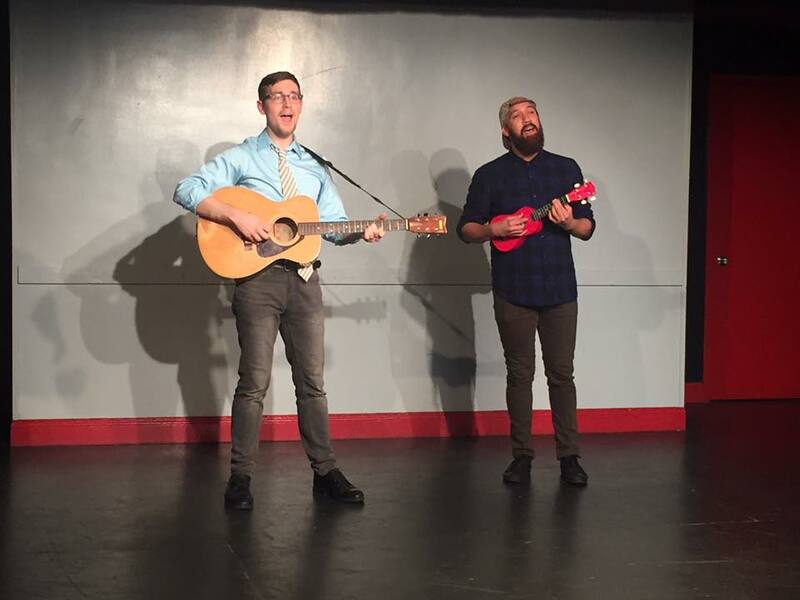 May, 2017 - Having an incredible time doing The Complete Works of William Shakespeare (abridged) and The Bomb-itty of Errors in Rep at Redhouse Arts Center. Two riotously funny shows with amazing reaction from the people of Syracuse. Syracuse New Times said we're "the most uproarious Complete/Abridged ever seen in these parts"! March, 2017 - Shooting original horror film Lost in Buffalo City in the swamps of the Outer Banks in North Carolina. What could have been a cold, muddy, miserable time was a cold, muddy, delightful experience thanks to a top-notch crew. Can't wait to see the finished product! February, 2017 - Got to make my 54 Below debut with my wife Amy Jo Jackson in Love, I Hear singing Irving Berlin' You're Just in Love! We of course managed to work in a crash course of the "Citizen Kane of bad movies" The Room. January, 2017 - The Movie Idiot's Guide to the Oscars is back again this year to sold out houses at the PIT Loft! Highlights included reimagining Hell or High Water as part of the Fast and Furious franchise and a Hidden Figures/Schuyler Sisters mashup. November, 2016 - Got to shoot a music video for Shotgun Wedding (featuring members of Billy Joel's band) of the song Travelin' Prayer. Came out great! September, 2016 - Hard to beat Monty Python when looking to work on comedy! As a toe back into the musical theatre waters, Wolfbane Production's Spamalot couldn't be more fun! July, 2016 - Having a blast working on both Unnecessary Farce and Ken Ludwig's Baskerville at Millbrook Playhouse. June, 2016 - Almost done with a great run of Act One with Clay & Wattles at the Gary the Olivia Theater! 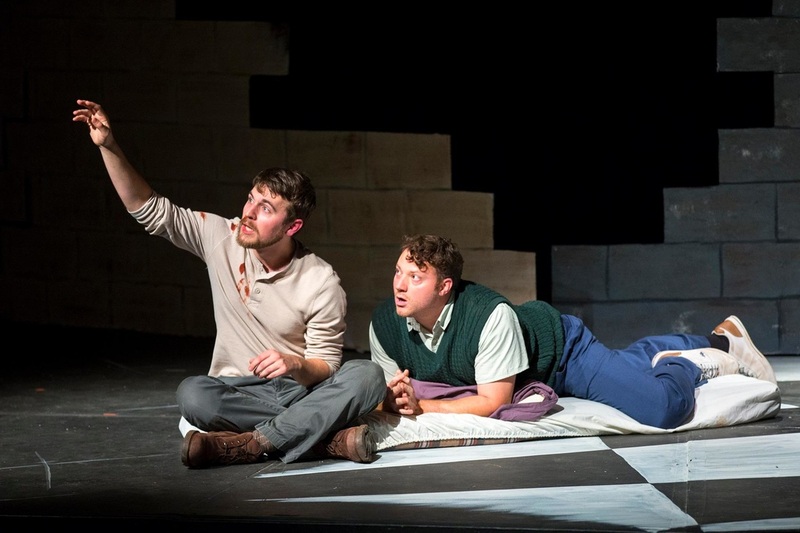 "A must-see production" and "conjures up just the right images of what live theater used to be and what it used to mean." March, 2016 - Heading to Bethlehem, Connecticut in May to star as Moss Hart in Clay & Wattles Theater Company's production of Act One! Can't wait to play of the biggest giants of American theatre! October, 2015 - Film festival announcements! Sleepwalkers had a great screening at the Action on Film International Film Festival on September 20th. The narrative/documentary hybrid Audition that I'm a part of had it's world premiere at the 2015 Portland Film Festival and will be screening at the St. Lawrence International Film Festival on October 23rd and 25th and the Lone Star Film Festival! September, 2015 - Playing my dream role Katurian in Martin McDonagh's The Pillowman with Wolfbane Productions in Lynchburg, VA! Running 9/17-9/26. ​July, 2015 - Currently having a blast starring as Thomas in Alliance Repertory's "perfectly cast" production of Venus in Fur which has been called a "tour-de-force of writing, acting, and directing" and "equally compelling" as the original Broadway production! Running July 10th-25th. June, 2015 - Thrilled to be featured twice in new podcast Anthology, providing the voice of Sherlock Holmes in Episode Six's The Adventure of the Speckled Band and writing and directing Episode Five's The Tell Tale Heart! May, 2015 - Headed to Cannes! Trap, a short film I shot last year is being featured at the Cannes' short film corner! So proud of the entire cast and production team! April, 2015 - Having a wonderfully ridiculous time playing the beloved and befuddled King Cloudberry in the "dangerously funny" Time Out NY Critic's Pick Kapow-I Gogo, an epic marathon of "geek theater heaven"! Running monthly at the People's Improv Theater. January, 2015 - Sold out run for my new show "The Idiot's Guide to the Oscars" which I wrote and co-starred in! We managed to summarize all 60 academy award-nominated films for 2015 in just one hour including a three-way rap battle between Michael Keaton, Eddie Redmayne, and Steve Carell! November, 2014 - I'm understudying Stephen Undershaft and Snobby Price in The Pearl Theatre Company's acclaimed production of Major Barbara running November 4th-December 14th! January, 2014 - I've officially been cast as the lead in the NY premiere of Crystal Skillman's new play Wild, running at IRT from March 4th - April 7th! December, 2013 - Sleepwalkers has been voted Project of the Week by Indiewire and is up for Project of the Month! December, 2013 - The beautiful trailer for Sleepwalkers dropped and has 3,700 views and counting. We've also been featured on Indiewire! November, 2013 - My new feature film Sleepwalkers just launched their Kickstarter. Check us out for new clips from the movie! November, 2013 - Playing multiple roles in a reading of new play At Liberty Hall for Premiere Stages. October, 2013 - Playing Reverend Pride in the world premiere of Adriano Shaplin's Sarah Flood in Salem Mass at The Flea Theater. Critics say: "Achieves something extraordinary" (Showbusiness Weekly), "Imaginative and inventive" (Talkin' Broadway) and "...consistently compelling" (Theatre is Easy) Performances run Sept 24th - Oct 26th. August, 2013 - My new movie Sleepwalkers is now up on IMDB. Also, check out our new teaser trailer! July, 2013 - Shooting new feature film Sleepwalkers throughout Manhattan and Brooklyn. Described as an "Urban fantasy romantic comedy", the plot follows a man with a secret, separate personality balancing his two lives. May, 2013 - Cast as Agent Jeffries in The Active Theater's workshop of In the Middle, directed by Nick Leavens (The House of Von Macrame). Runs May 23rd-26th! 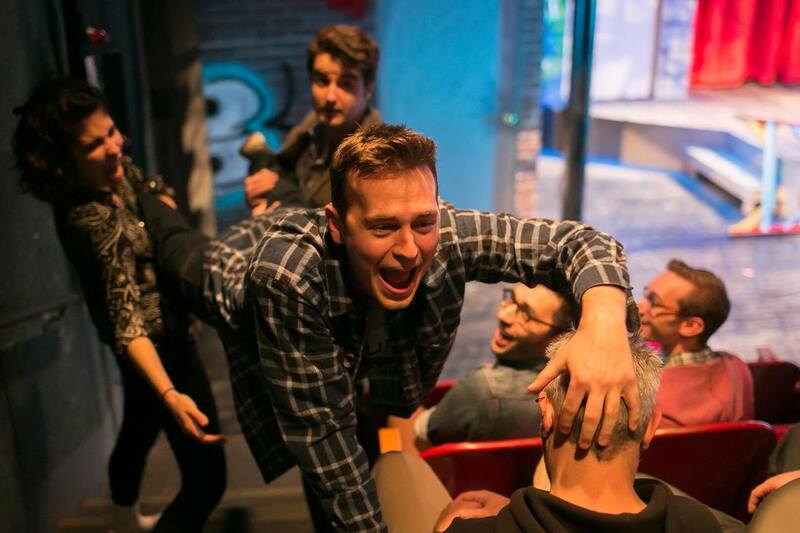 April, 2013 - Understudying Dan/Dave/Don in The Electric Baby, a "gently touching new drama" (NY Times) at Two River Theater. Directed May Adrales. Runs April 6th-May 5th. April, 2013 - Playing Blondie in Drunk Art Love, a new play by Crystal Skillman (Geek) directed by Nick Leavens (The House of Von Macrame). Part of The Claque's workshop series The Quick and Dirties. January, 2013 - Playing Paris and Montague in The Shakes at The Flea Theater, a late-night serialized adaptation of Romeo and Juliet. November, 2012 - Henry V at Two River Theater has been called "gritty" and "a bold piece of theater", I'm so thrilled have been cast as the understudy for King Henry! October, 2012 - Starring alongside Bill Moseley (The Devil's Rejects) and Jesse James (The Amityville Horror) in Chiller TV original film Dead Souls as Sheriff Depford! Follow the link to check out the trailer! August, 2012 - I've been cast as the understudy for Ken in Red at Re-Vision Theatre in Asbury Park, NJ. The show runs from August 23rd-September 9th! July, 2012 - Squeaky Bicycle Productions will feature my one-act play "Space" as part of its Pre-Show Showdown where they feature one of seven new short plays before each performance of the premiere of original play "Pop Dies in Vegas"
June, 2012 - Two web series I worked on will premiere in the next few months. STUNODS, a fish-out-of-water mob comedy from Epic Boys Productions finds two wannabe wise guys hiding out in Chestermouth, New Hampshire and butting heads with my local law enforcement, Sheriff Brian. The second, Astro-cons, is an animated workplace comedy following the incompetent workers at the Department of Space that will premiere in September before being featured at New York Comic Con. May, 2012 - I've been cast in Matt Herron's upcoming feature film Audition, a combination narrative/competition where one hundred actors and actresses compete to portray the main characters in a couple's love story. 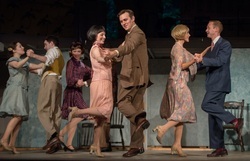 May, 2012 - "These Seven Sicknesses" is now a Drama Desk award nominee for Best Director and is being brought back for a limited run at the Flea Theater from June 6th-July 1st! April, 2012 - Just been cast in Colin Theys' upcoming feature film "Dead Souls" as a younger version of Bill Mosely's (The Devil's Rejects, Halloween, Night of the Living Dead) character Sheriff Depford. "Dead Souls" will have a brief theatrical run before airing on Chiller TV! March, 2012 - Squeaky Bicycle Productions will be doing a staged reading of my new play "Positive" on March 24th at Joria Productions as part of their 2012 Spring Reading Lab! March, 2012 - Appearing in the Barrow Group's Network One-Act Festival in the play 'Clear Air Turbulence'...which was just voted through to semi-finals! January, 2012 - New article in the NY Times about "These Seven Sicknesses", with two photographs of me as Oedipus. December, 2012 - Accepted as a member of The Flea Theater's resident acting ensemble The Bats and cast as Oedipus in their upcoming production of "These Seven Sicknesses" an epic presentaion of all seven of sophocles' surviving plays . November, 2012 - Cast by MTV as part of the "Yoocrew", a group of young men and women that are serving as the face of Yoostar on MTV! November, 2012 - Currently performing in two one-act plays as part of The Theater Project's Kaleidescope Kabaret in West Orange, NJ. August, 2011 - Just cast in Stunods with Epic Boys Productions, a new comedic web series to be used as a potential pilot for major networks! July, 2011 - I'll be seen next as Satan and Saint Matthew in Sanguine Theatre Company's production of The Last Days of Judas Iscariot at The Drilling Company in New York from August 18th-21st! July, 2011 - Two exciting pieces of news: I am playing the lead role in the comedy The Tragedie of Cardenio at The Drilling Company in New York in the end of July AND the Norwyk Theatre Co in New York is going to produce my new one-act play Space as part of their production NEW: New Plays. New Artists. New Theatre. More info to come! The Manhattan Repertory Theatre has picked an original 40-minute play I wrote and will be starring in entitled The Mulberry Bush to be a part of their Summerfest 2011! Show dates are June 15th at 7:00, June 17th at 7:00, and June 23rd at 9:00. I can next be seen in the New York Premiere of the new play Asymmetry, running June 2nd-June 5th at "Shetler Studios" on 54th street. Other upcoming roles include feature film "Work It" and playing Charlie Chaplin in a stage biography with St. George Living History Productions.